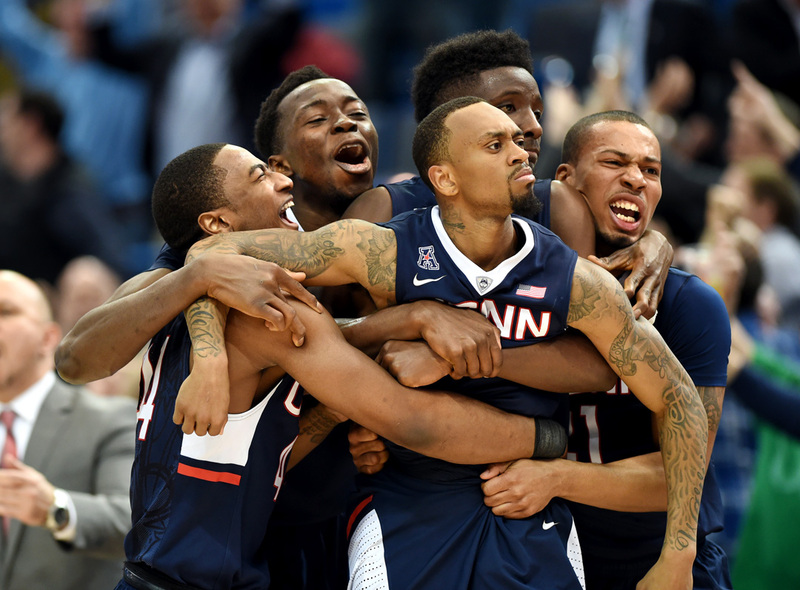 The UConn men’s basketball team has a history of winning at the buzzer. These nail-biting moments turn the volume up to 11 inside the arenas but they also give the sports photographers fits. In Friday’s AAC quarterfinal game against Cincinnati, the choice was easy: focus on Boatright. He nailed a 3 pointer with 0.2 seconds left on the clock. All five players on the floor grabbed their point guard and danced across the court in a giant group hug. Classic. Next match-up is Tulsa in the semi-finals. Can they top this?